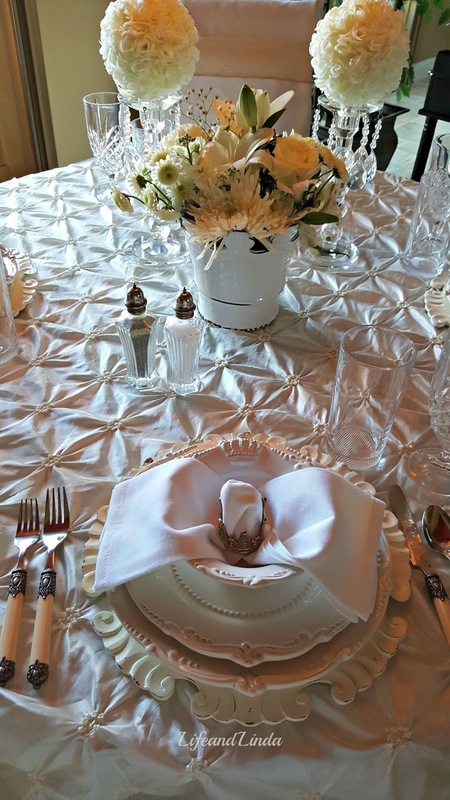 I wanted to share the tablescape I created for my Mom's visit. She invited a friend as well. It's the end of summer, so I went with all white and creams. 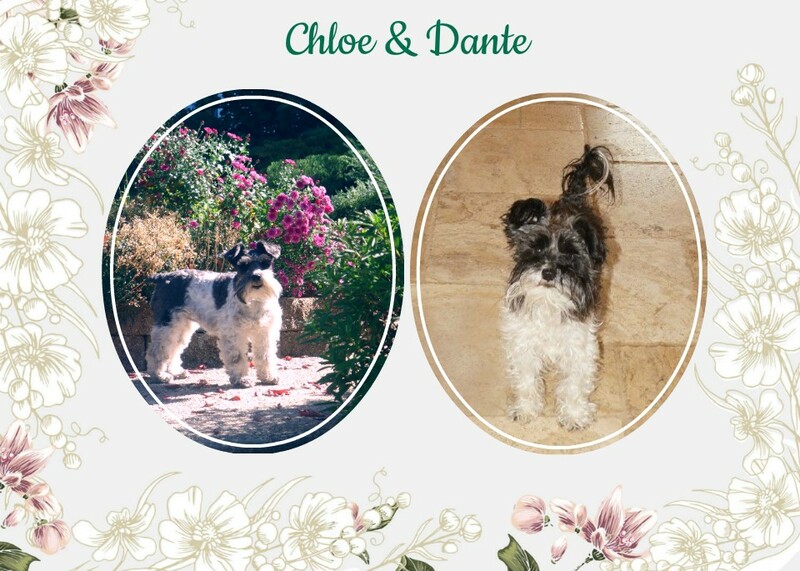 I wanted to create something special for my guests. I decided to use the crown dishes, so my Mom and her friend would feel extra special. Royal treatment. Using my trusty pillow case trick. I use them to cover the red chairs, so my theme is carried through. I bought fresh creamy white flowers that sit in the crown vase. The napkin rings are also crowns. Cream flatware from Horchow. I served creamy Potato soup with a fresh mango, blueberry salad with raspberry dressing, feta cheese. and candied pecans. Dessert was the three berry trifle. We had a great visit. We talked about creating cute crafts. My Mom crochets and knits, so I envy her talent. She keeps herself quite busy. First of all you know lucky I think you are and vice versa.. I love the chairs in white and this whole pretty in whites setting. How sweet of you to do this for your Mom and her friend. I am sure they felt sp special and pampered! Just like royalty! The menu sounds delicious!!! Have a beautiful weekend! YOU ARE BRILLIANT. Pillow cases? WHY OF COURSE! That is the slickest way to make a last minute décor change, Linda! All white with the crown plates...this is super special. I just bought a vintage Cinderella carriage lamp; I took out the cord and now it can sit in the center of a table, with a small candle inside. I just may make a royal dinner and have my carriage in the center! Oh you sparked an idea! Linda, I know your mom and her friend felt like royalty. What a thoughtful daughter. It's all lovely and your menu delicious. 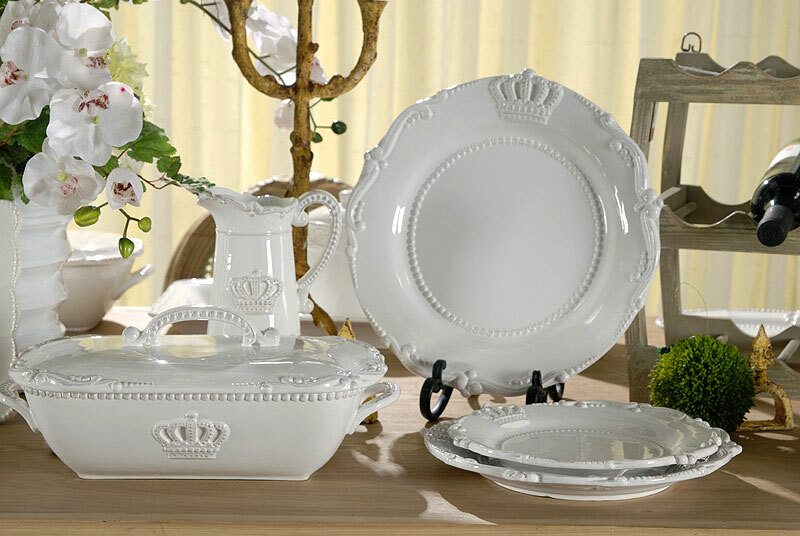 The crown dishware is beautiful Linda, how special for your mom and her friend. Sooooo elegant, Linda! They had to feel so very special to be treated to this luxurious table. Just Beautiful!!! Happy birthday belatedly to your sweet mother. I am sure she was thrilled with your efforts. I wish it would cool off here enough to make your soup! I will save it and try it in a couple of months. This is so lovely, special and thoughtful. 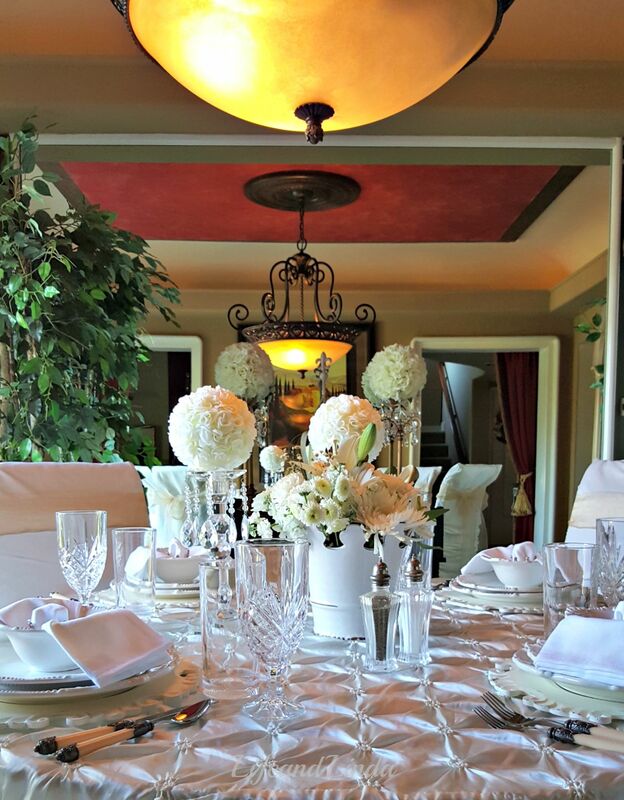 Your table setting is truly inspiring and I love the white. I just know your Mom and her friend had to feel so very special and loved. Thank you for sharing this recipe-with this list of ingredients I know it is loaded with flavor. Perfect time for potato soup as the potatoes will be so fresh as it is harvest time! What a special party for your mom. 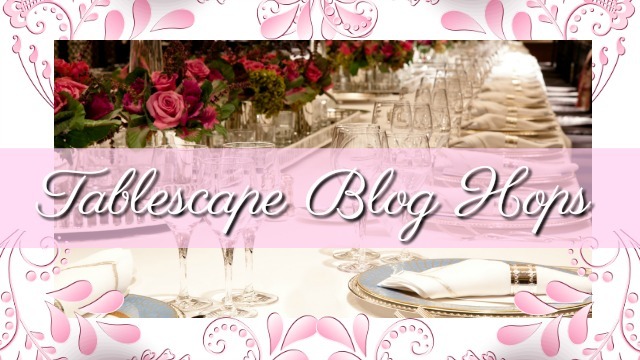 I love the tablescape, especially the plates! You are a sweet and thoughtful daughter. Have a fun Labor Day! Stunning! I love the whites. Again you have done your clever and beautiful covers for the chairs. I need to start doing that. The plates are gorgeous! I love love the napkin rings and how you placed the napkins in them. Your gorgeous white flowers are perfection. I enjoyed seeing this post. I'm sure your mom and her friend loved the royal treatment that you gave them, Linda. 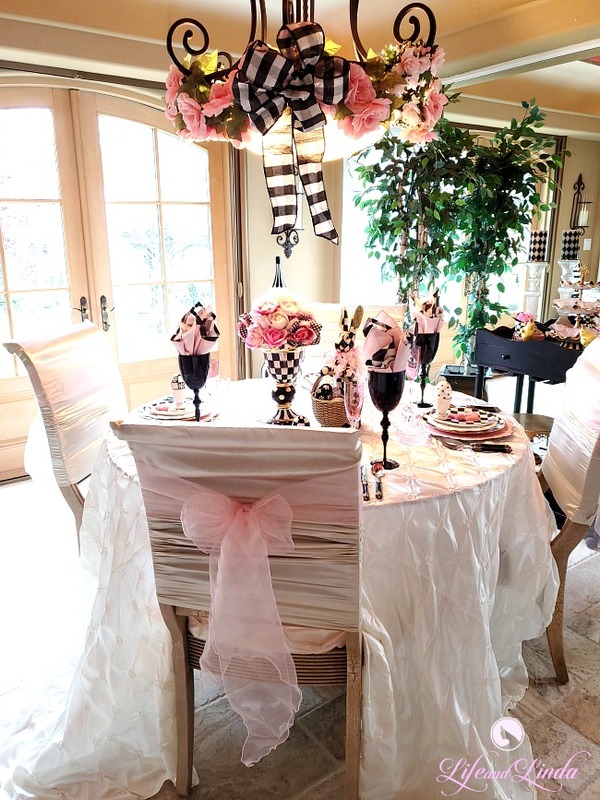 Your table looks so pretty with the shabby chic theme. Thanks for sharing your creamy potato soup recipe! Gorgeous, gorgeous, gorgeous! The crown dishes are beautiful. ♥ the napkin rings. I am sure your guests felt very special sitting at this table, Linda. Just beautiful! I found you over at Table it Link Party. I love the tablecloth! Does it make it difficult for glasses to stand without tipping over? 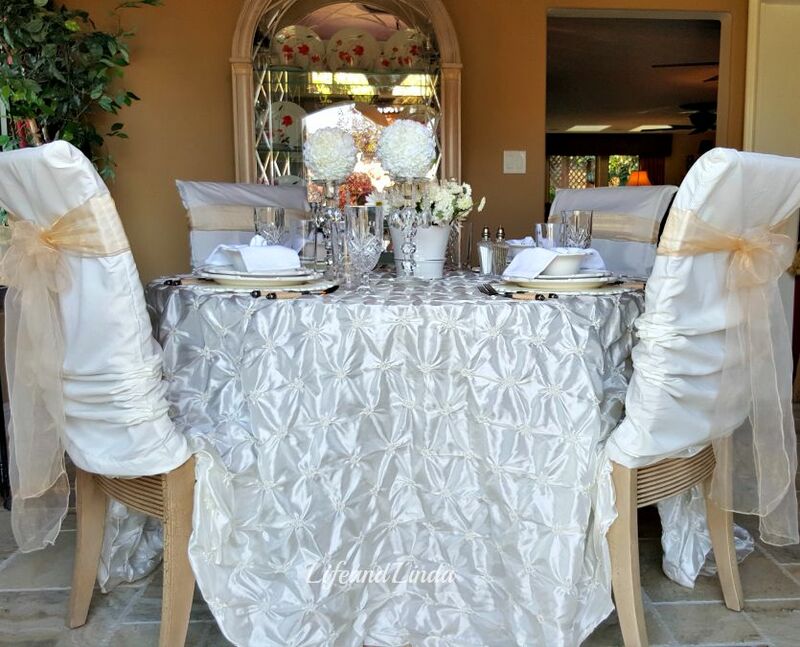 This is an elegant table, just beautiful for special guests. 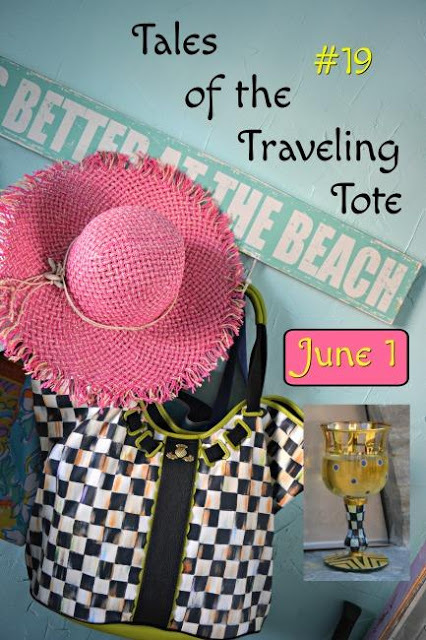 I would love it if you would stop by my link party, Celebrate it Sunday! You can link up anytime until Friday. The Crown dishes are to die for Linda! Your table for your mother and friend is stunning! So elegant, crispy white and feminine. Love the topper too! Have a wonderful week ahead my friend. Such a beautiful tablescape and lovely menu---I know your mom appreciated this as well as her friend. Bravo to you for creating a memorable time! And that's a talent indeed! What a beautiful luncheon and such a special way to show your love for your mother! She must still be basking in the glow from the special way she and her friend was treated! Thank you, too, for the recipe! 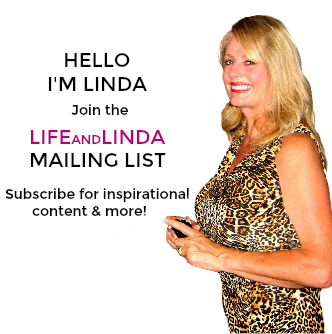 Ooooh, how incredibly gorgeous, Linda! I agree, the ladies must have felt like royalty :) Truly stunning, my friend. Hugs! Pillowcases! You clever girl. I adore the tablecloth as well. I hope you have a happy Labor Day holiday and wonderful week! What a pretty table setting. Your mom and friend must have been thrilled to see this. How nice that your mom crochets and knits. I've always thought that was such a talent. 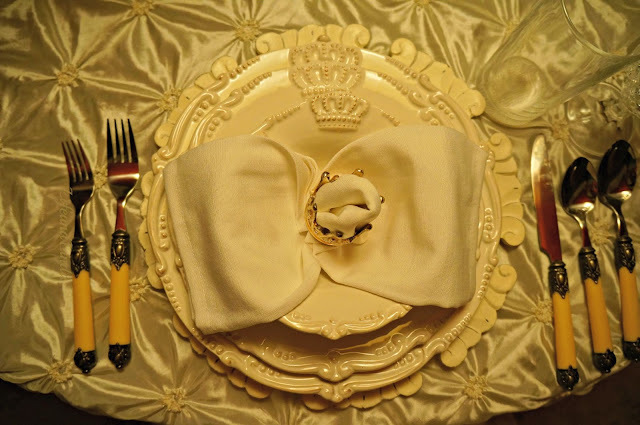 I really like the plates with the crowns, and the table cloth is so soft and pretty. The creamy potato soup sounds delicious. Everything looks really nice, Linda. That's special that you did this for your mom. Awesome pieces, amazing table and they must have felt like Real Royalty. I love this. Oh so much. Hi Linda, what a beautiful setting you created for your luncheon. Your mother and friend had to have enjoyed very much. You are so very talented and make such special settings. I say you write a book. Love it all. 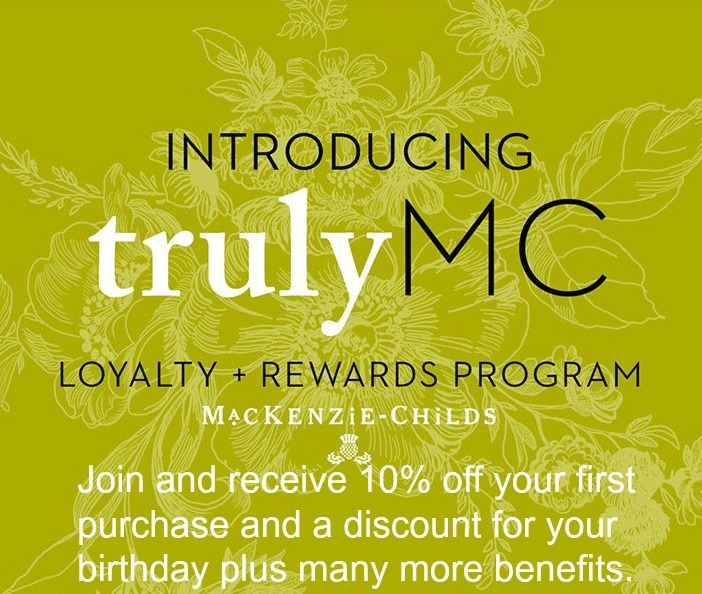 What a lovely thing to do for your mom....bet she just loved the whole luncheon experience! You did a beautiful job, and she must have felt very loved indeed. Well done! I just love this, Linda. 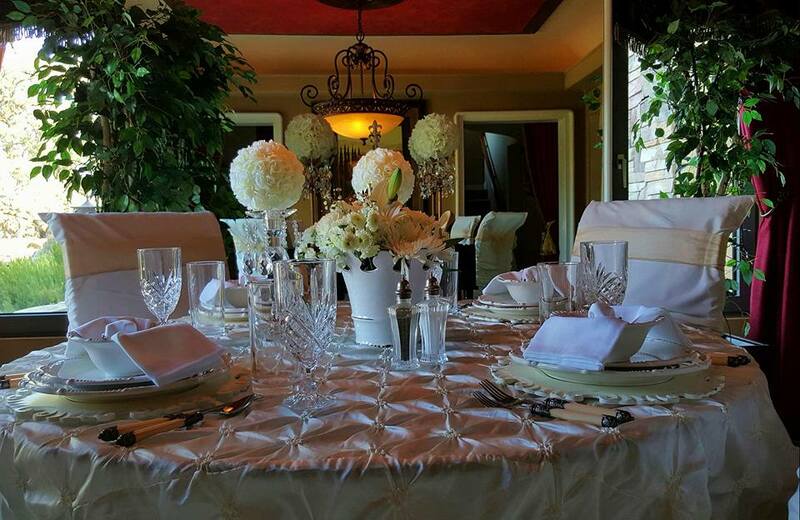 White on white makes for such a special setting and you've done it beautifully! 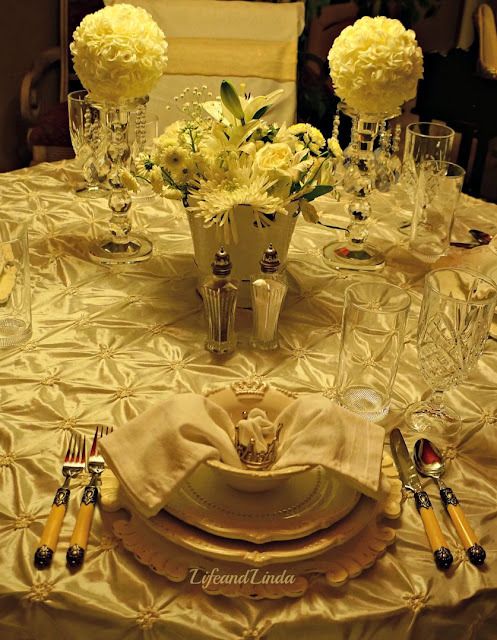 Your dinnerware if gorgeous and I love that you took the pics at the table level - it really makes an impact! Certainly the royal treatment! You are so fun! My crown dishes are my absolute favorite of all of my dishes. I have 24 of each, so they are the stars for the big parties! Love everything in white and cream. Truly elegant! 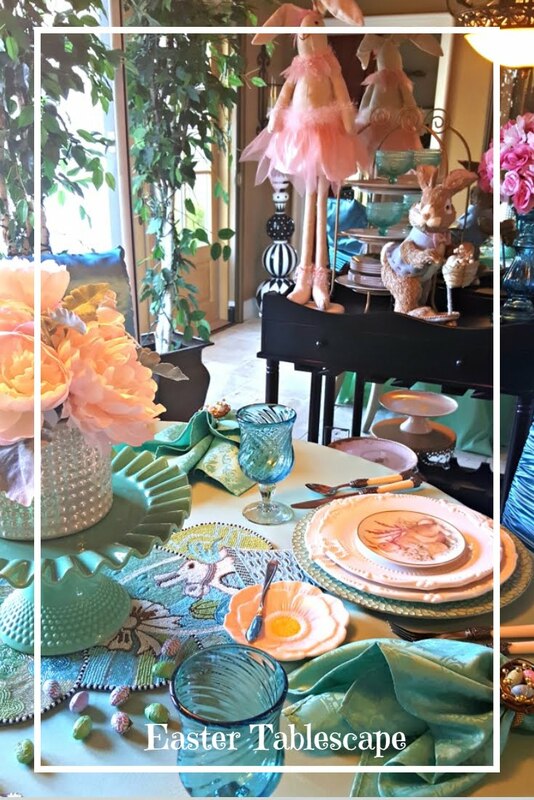 What a pretty table- royal and feminine! The dishes are so pretty and I love the way you presented the napkins and napkin rings! The soup sounds delicious! What a gorgeous table. I love the royal dishes. Still loving those dishes, but my wallet doesn't. LOL Loving your napkin trick with letting come out the sides, might have to try that one. Your creme and white table is so pretty! I love how you used the crown napkin rings and the potato soup recipe looks delicious.